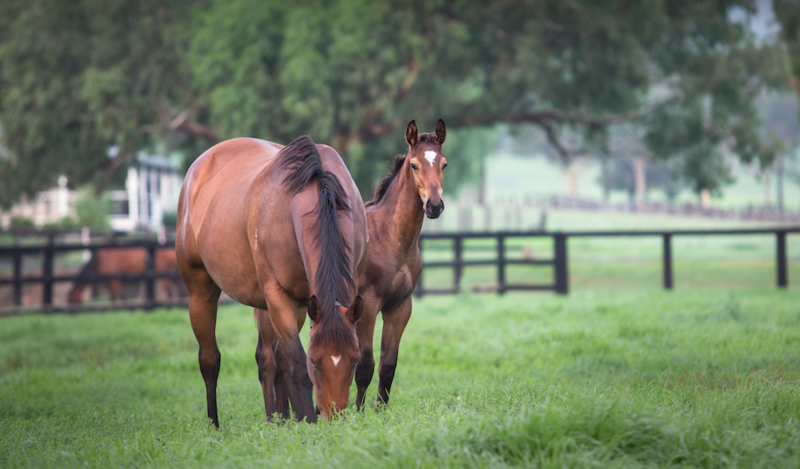 Situated in the fertile Segenhoe Valley just ten minutes from Scone, Vinery Stud is nestled in the epicentre of the Thoroughbred Breeding heartland and is one of the most ideal thoroughbred nurseries in Australia. Walk outs available as well as seasonal agistment. Vinery has two resident Veterinarians during the breeding season and are only 10 minutes from Scone Equine Hospital for referrals. Vinery has first class foaling and reproductive services for your mare and offer fixed price Reproductive contracts. Resident mares at Vinery have access to some of the best sires in the country without even having to leave the farm. Vinery stands Champion Sires and Champion racehorses including All Too Hard, Headwater, More Than Ready, Press Statement, Casino Prince, Pluck and Star Turn. Encompassing more than 2,300 acres including 3km of frontage to the Pages River, lush irrigated pastures extend to rich undulating paddocks for the young developing stock beneath an array of softly protected valleys for winter protection. Vinery Stud has the perfect balance of river flats and rolling hills and is renowned for the quality and toughness of the thoroughbred stock it has produced through the years. Vinery graduates include Typhoon Tracy, Atlantic Jewel, Frolic, Shamus Award, Delectation, Rubick, Exceed And Excel, Bollinger, Commanding Jewel, Danleigh, Russian Revolution, Entisaar and Samaready are proof of the quality start Vinery gives its stock. Our professional and enthusiastic staff aim to provide the most comprehensive care to the bloodstock of all breeders and clients through a variety of services including agistment, foaling, education, walk outs, sales preparations and marketing. Having a resident veterinarian on the farm provides an array of benefits, not only enhancing the level of care and management of the bloodstock on Vinery, but also significantly reducing routine veterinary costs. Vinery also has an onsite farrier, ensuring that resident stock have access to excellent hoof care.